Last week's party was our biggest yet and we had an absolute blast coming by to visit as many of you as we could. Our apologies to those of you who we didn't get to visit. The Design Team call has closed. Thank you to all of you who expressed interest in joining the team. The new members will be announced next week. Hazel has been a regular here at Make It Monday since the very early days. 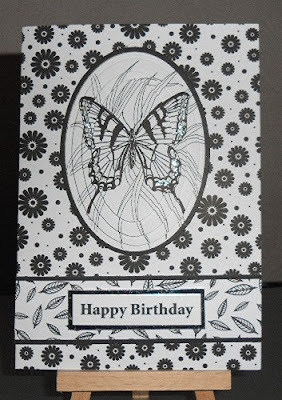 We have enjoyed viewing the many beautiful cards she has shared with us over the months. This cared is fantastic! 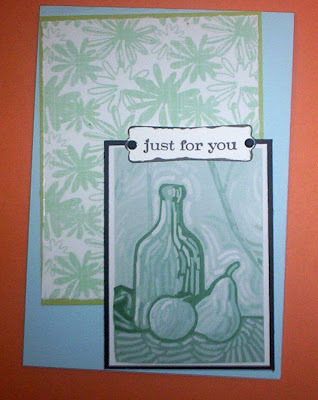 I love the contrast of the patterned papers and the layering of the image. Please hop on over and pay Hazel a visit, I know she will be so happy that you did. Thank you for sharing with us Hazel! The whole idea behind Make It Monday is to promote the sharing of inspiration and encouragement amongst the entrants and each week you all prove just how wonderful and supportive the creative community is. Thank you for getting in to the spirit of MIM Dora, please contact me at mgissel70@yahoo.com.au so that I can organise your prize. Be sure to head on over to each of the Design Team members blogs to see who they have chosen as their favourite from last week's linky party. This week's Make It Monday #50 is now open, please link up your fabulous creations at the end of this post. 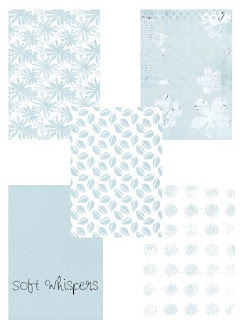 Mandy is so kindly offering the new release Soft Whispers paper collection. Each set of these gorgeous papers come in 8 soft dreamy colours! To be in with a chance to win this week's prize all you need to do is leave a comment for one or more of the entries this week and let them know you saw their creation on Make It Monday. The more entries you comment on the more chances you have of winning. It's all about sharing a little blog love. We all love comments............right?! Hi MIM DT Ladies & everyone! 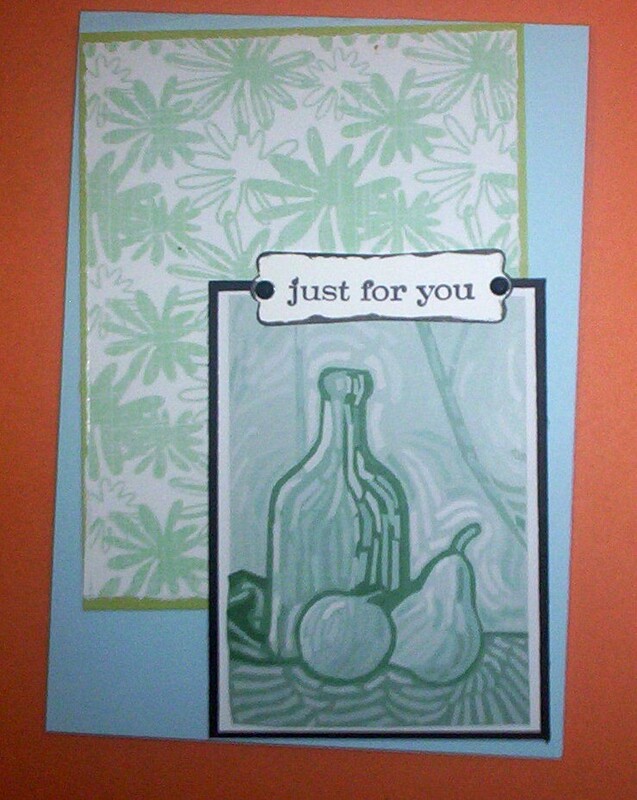 What a gorgeous array of cards you've made with Soft Whispers, it's SO nice to see it being used so wonderfully! Michelle and the DT never fail...the entries are just as fabulous...Thanks For Sharing Ladies...all the work is absolutely beautiful. The DT cards are so creative and all so different it certainly inspiring. 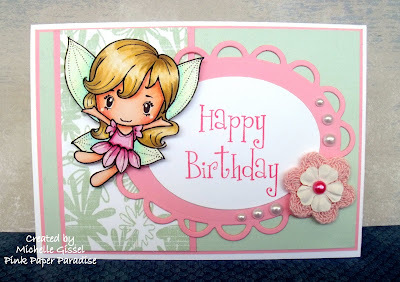 MIM is wonderful for seeking out new Blogs I have picked up a few friends since I started posting up my cards so thanks so much for that.